Karen is head of the Maples Group's Employment team. 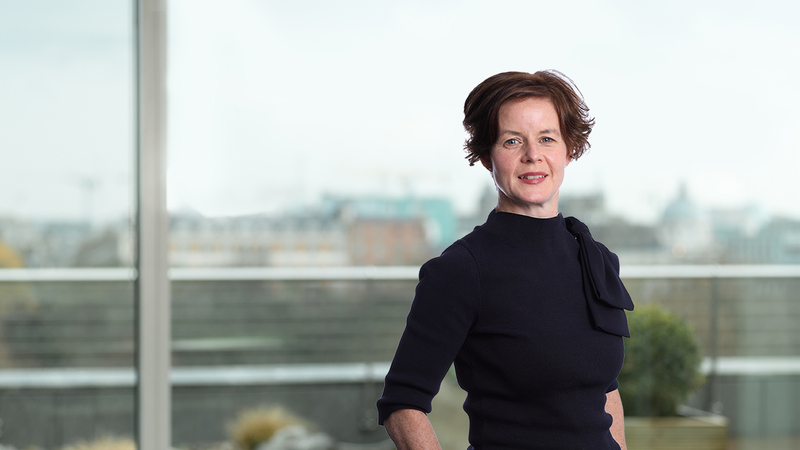 She has over eighteen years’ experience advising clients on all aspects of employment law including contractual matters, sensitive investigations, employee privacy issues, GDPR, gender pay gap preparation, TUPE, HR aspects of corporate re-structuring and asset disposals, industrial relations, working time, equality issues, executive compensation, removal of directors and senior executives and the protection of confidential information. Karen’s recent cases include securing court orders to prevent the theft of confidential information, restraining a team move and defending a High Court challenge to the suspension and investigation of a senior employee. She regularly represents clients before the WRC and the courts and has extensive experience of successful mediation and dispute resolution. Karen joined the Maples Group as a Partner and Head of the Employment team in 2019. Previously, she was a partner with a large Irish corporate law firm. Before that, Karen worked for Linklaters in their Rome office. She has been ranked and recommended by independent legal directories; “Karen has a can-do attitude and an exceptional level of service” (Chambers Europe 2017) “Strong experience across employment law issues, including sensitive employment litigation and transactional work. Very practical and responsive, and really knowledgeable of the employment sector” (Chambers Europe 2016) “An experienced employment law specialist and litigator, clear, pragmatic and well prepared” (Chambers Europe 2015). “Provides trustworthy advice and direction” (Who’s Who Legal 2017). Karen is a fluent Italian speaker.